in order to successful in the world today? Choose one skill." In my opinion, what we have to learn is how to be polite. Although, some people would ask, “what is propriety?” I would like to raise three most important things to be appreciated as a “modest person,”. First, greetings. Second, be very responsible with your words, and third, do not do what you do not want done to you. 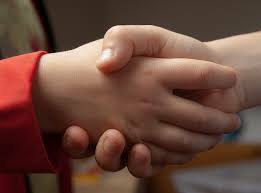 Greeting is very important to maintain the relationship between your family, colleagues and friends. According to my mother, people who cannot greet properly are way worthless than someone who can greet. This statement sounds very extreme, though, it is true. When I said “Hi” to my ex-classmate, she ignored me and went into the classroom. I have never forgotten how I felt on that day, I felt unpleasant irritation and frustration, totally different from the stress from too much assignments examinations. I had been hating her since the day she ignored me. Therefore, a greeting has a great effect on someone and is the most basic way to be polite. Be very careful what you say. If you said something rude to your family or your friends, and you have forgotten, you will be in trouble. Even if you forgot what you referred about to your friend, he or she hardly forgets about this. Humans are more vindictive than the elephants, so we have to be very responsible for what have we spoken in order to retain a good relationship to the people around you. Do not do something you do not want done to you. If you have been treated badly, what would you think? You would feel frustrate, annoyed or lamented. When you did that to other people, you have hurt some people consciously or unconsciously. Thus you have to think about how you want to be treated and act accordingly. In conclusion, as long as we are polite, we can make a good relationship with the people around us. Our conduct and polite manner is something we should all learn and maintain. I think regardless of the reactions of other people, if we maintain a good level of propriety, it speaks volumes about our personality. I concur that we should treat others how we would like to be treated. A polite character really helps form close relations with other people. Without this skill, co-operation would cease to exist.